The new batch of these are larger and a little more amber-colour (rather than yellow). 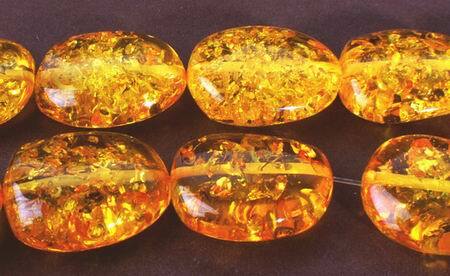 Price is per 16-inch strand of about 13 reconstuted amber beads - each measure around 31mm x 21mm x 8mm. What took nature millions of years to create, can be yours in an instant!